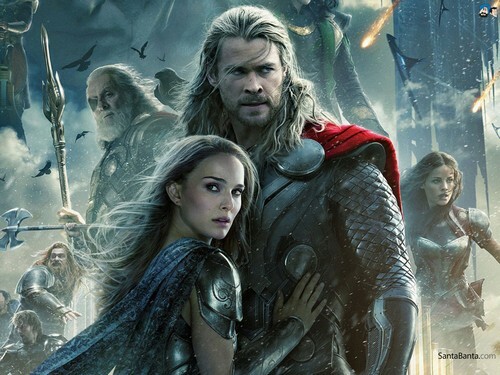 Unsurprisingly, Thor: The Dark World took first place for the second week in a row at the box office this weekend. Surprisingly, it narrowly beat new release The Best Man Holiday for the top spot. Initially, projections had The Dark World coming in at $30-40 million, with Best Man Holiday at barely high teens. However, this just proves that a movie doesn’t have to be a superhero movie with a ton of hype to do well at the box office, with Best Man Holiday managing $30.6 million for the weekend, with The Dark World earning $38.5 million.Of course, I don’t know if Hollywood will take any hints from this. This pretty much proves and continues to prove that audiences want to see diversity in their film offerings, and just because a movie features an all African-American cast, doesn’t mean that the public won’t go see it. In fact, with strong reviews and a fun-loving theme, the audience ended up being quite diverse and the movie clearly reached a wide demographic. The Dark World is already teetering from its #1 perch, and it’s sure to get knocked out once box office behemoth The Hunger Games: Catching Fire hits the box office next weekend. The movie’s predicted to make close to $160 million in its opening weekend, which means almost double Thor’s opening weekend. Right now, tracking is extremely unreliable for Catching Fire, and it’s hard to predict a guaranteed figure. It could honestly make anywhere from $140 million to $190, depending on the the way the buzz and the hype builds over the next few days. Did you guys watch either Thor: The Dark World or The Best Man Holiday at the theaters this weekend? And are you excited for any upcoming movies? Let us know in the comments.